Germany midfielder Sami Khedira says he hopes to help new club Juventus challenge for further honours, having completed his move from Real Madrid. The 28-year-old World Cup winner had been a target for a number of clubs in both Germany and England, but opted to join Juve, who clinched a league and cup double in Italy last season, as well as reaching the Champions League final. I'm really looking forward to the challenge of a new club, a new league and a new country. And Khedira is relishing the new challenge on the horizon, with Juve having also recently snapped up Palermo forward Paulo Dybala to boost their squad. He told the official Bundesliga website: "Juve is a fantastic club, a club with great tradition, a brilliant present and a bright future. "It's no coincidence that the team has found itself at the top table of European clubs again this year. "I'm sure that Juve will continue having a say in the fight for big titles in Europe and I want to play my part in that. "I'm really looking forward to the challenge of a new club, a new league and a new country." Juventus can be backed at 1/1 to triumph in the Champions League, with Roma available at 1/1 and Lazio priced on 1/1. 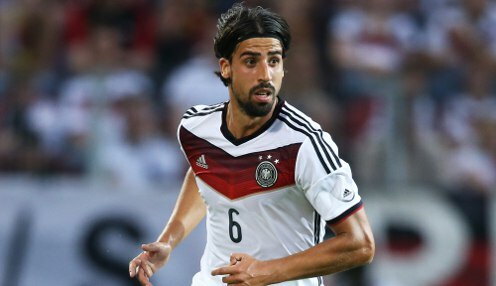 Khedira spent five seasons at the Bernabeu, having started his career with his hometown club, VfB Stuttgart, and he has won more than 50 caps for Germany to date. However, he missed the World Cup final victory over Argentina last summer due to injury, with his replacement, Christoph Kramer, lasting around half an hour before having to be replaced by Andre Schurrle after taking a blow to the head.